This partnership will bring our clients more light for less money. 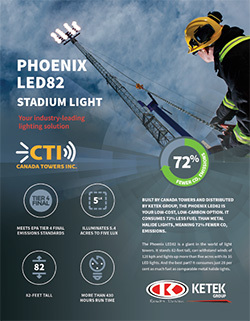 Edmonton-based Ketek and Calgary-based Canada Towers have signed an exclusive agreement that will see Ketek distribute the industry-leading light towers currently designed and manufactured by Canada Towers. Canada Towers has, over the past decade, developed LED light towers that emit more light than the previous best-in-class metal halide lights for a fraction of the cost. The Phoenix LED64 stands 64-feet tall and can withstand winds up to 130kph. 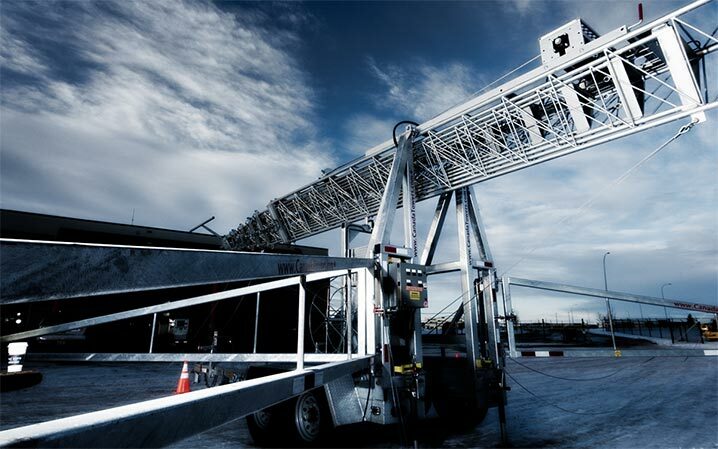 The Phoenix LED82 is another 18 feet tall and can withstand winds up to 128kph. 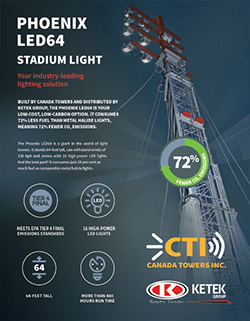 The towers come with a range of advanced design features and options that are fully outlined in the brochures, below, and their best feature might be how little fuel they consume: just 28 per cent of that consumed by comparable metal halide lights. That saves money directly in fuel costs, and indirectly in CO2 emissions, a major consideration for many of Ketek’s clients. Ketek is an oilfield-services company that has also works in construction dewatering, well testing and pumping, equipment rentals, manufacturing and safety consulting. Ketek has worked with major oil companies, large contractors, engineering firms and municipalities.